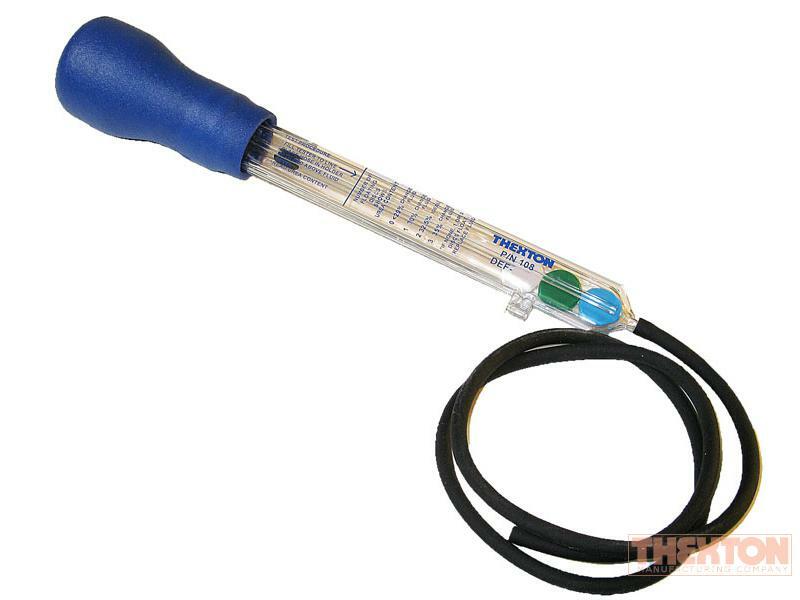 The DEF-TESTER is designed to test the urea concentration of Diesel Exhaust Fluid. Professional disc-type16 1/4" tester is accurate at all temperatures. Easy to read discs are magnified by convex design of the clear SAN plastic barrel. One-piece bulb and neoprene dip tube.